Boston’s very own ska champions, the New Limits, have just released their debut self-titled album. Listening to the band, theirs is a sound that stands out in the context of ska in 2017. In a sea of homogenous ska-punk bands and other ska also-rans, the band have embraced their influences of the 3rd Wave while carving new ground for the genre. Their dynamic is rooted in a foundation of ska but accentuates with Motown Soul, 60s pop, and a strong groove. Their sound isn’t forced and carries on the true spirit of the genre. There are no goofy ska stereotypes or superfluous instrumentation. This is a band the scene can be proud of and should carry as contemporary heroes. 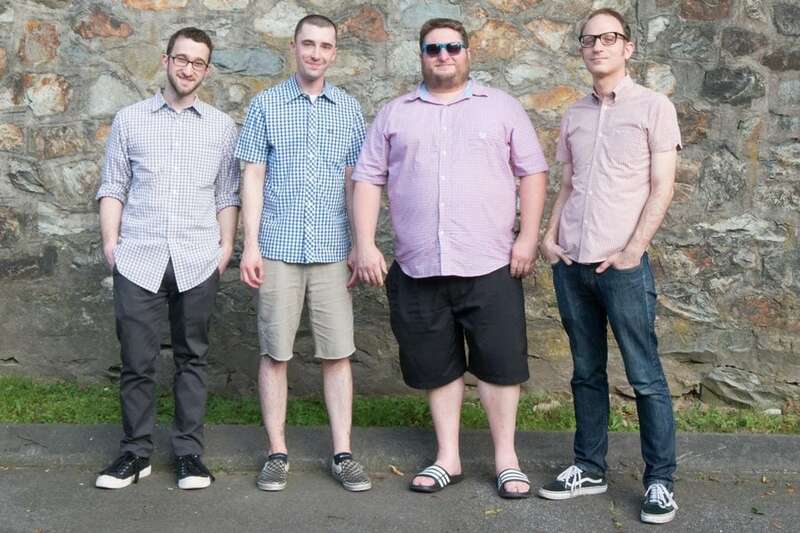 Matty C., lead singer and trumpeter of the band, was kind enough to answer a few questions about how the band got together, Boston ska, and the new record. Let’s start at the beginning, when and how did the band get together? It’s a little hazy for me, I met up with a few guys in the attic of a garage. It was a cold New England winter, and I had never been a lead singer in a band, so I tried out and here I am. Jake is the original founder of the band, and when he moved to Boston he assembled us, to quench his undeniable thirst for playing in a ska band. The band describes themselves as being a product of the 90s ska revival scene. What bands would you cite as influencers of the New Limits sound? I think I speak for everyone in the band when I say that we have a wide array of influences. For me, there were what I call “gateway” ska bands like Reel Big Fish, Less Than Jake and the Mighty Mighty Bosstones in the 90s, and from there I found bands I enjoyed more and more. The cool traditional sound and great songwriting of The Slackers and the diverse sounds of Mad Caddies are big for me. Boston seems to still have a very active ska scene. How have you been embraced by both the other bands and the fans? It’s great that ska continues to be a niche sound that every generation seems to embrace in a different way. Boston is in a spot where we have long tenured bands like the Bosstones and Big D and the Kids Table, bands directly influenced by them, and bands looking to make their own history. Being an active ska band in 2017, what do you think of the current scene both nationally and locally? Nationally I feel that third wave ska has hit the infamous and nostalgic 20 year mark, which means that the likes of The Specials, Reel Big Fish and Streetlight Manifesto are touring a lot. And I’m noticing the “album played in its entirety” tours are popping up with bands like The Slackers and Less Than Jake. Locally I think you get a lot of people in their 20s and 30s who still love the genre. Fueled by that love, and perhaps a bit of nostalgia of their own, they form bands and build a local following, kind of like we have. The new record is a great evolution in the sound of the band. Was there a particular philosophy you adopted in the songwriting and arranging? We joked in studio that our philosophy was “not zany”…meaning that we were hoping not to invoke the imagery of Hawaiian shirts, fedoras and countless “pick it up jokes”. But seriously I believe that together we have such a range of musical interests, that we’re always finding ourselves asking “why don’t we have a love song yet?” or “why haven’t we written more rocksteady originals?” We come up with new ideas and jump in, rather than second guess ourselves. I hope we continue to do that. How would you describe the evolution from the EP to this full length? We’ve evolved quite a bit in the last couple of years, and I would attribute that to our growing confidence, and the experience of playing together for about 4 years now. We’re all very comfortable with each other, respectful of each other, and for that reason we’ve grown together and improved as both individual musicians and as a group. Who does the majority of the songwriting? Jake and I take turns having flashes of ambition, where one of us might bring a few new tunes into the mix, and then six months later the roles reverse. I think Jake writes with great pop sensibility, and I write more as a songwriter where I have words I’d like to convey into music, and I decide on the style and the music afterwards. Together we have a good mix of feel good song, feel bad song, make you think song and make you drink (and dance) song. Is there a particular theme that runs through the record whether musically or thematically? No, and no, and I love it. Jake and I both write about what’s bothering us, whether it’s trouble with authority and the daily grind in “Stir The Pot” and “Transition”, and we both write about good times and good people in songs like “Priceless” and “Part of Me”. Where did you record the new record and who did you work with? We recorded over 3 days at The Record Co. in Boston. They have a cool space and an even cooler concept, which is to support the Boston music scene across all genres and provide a quality and affordable place for musicians to record and play. We received help from friends and those we’ve worked with in the past, Cal Brockie with his engineering and production insights, Dave Lowenthal with a wonderful mixing job, and Richard Marr of Galaxy Park Studio who mastered the album. James Volpe, also known for his Ska Geek podcast, designed the logo for us with our direction. Jake, who has graphic design skills of his own, turned the logo into an album cover. I think they both did a fine job. Tell us about your relationship with Date Night Records. We are DIY everything at the moment and Date Night Records is Jake’s label. I think he released his album from his previous band under that name as well. I don’t think labels are giving the big bucks to bands these days, including bands like ours, but if you know of with expendable income that wants to help us out, send them our way. What advice would you give to a new ska band in 2017? Don’t accept any definition of ska except for your own. Listen to everything from the 60’s Jamaican to whatever bands are putting out today. There are newer bands from The Skints to The Interrupters who are doing what they want to do, with the sound they want to play, and the message they want to share. And that’s the way to do it. The band has had a very steady ascent over the last 5 years. What can we expect over the next 5 years? How about the next 1-2 years? We’ve had a couple band members move to other cities, so we’re at a point where we can decide which direction to go next, which instrumentation to add to our core group and try a number of different things. I would imagine that the next album will be very much like this one, a diversity of styles under the ska and reggae umbrella, where we tip our cap to what’s been done and try to create something fun and new that everyone can appreciate.